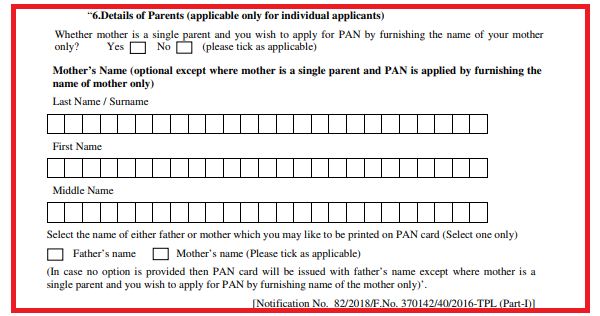 The Income Tax department has saluted the woman power by allowing the printing of mother's name on pan card optional for individual. CBDT has released notification 82/2018 dated 19/11/2018 vide which two major changes has been done in rule 114 of the income tax rules. 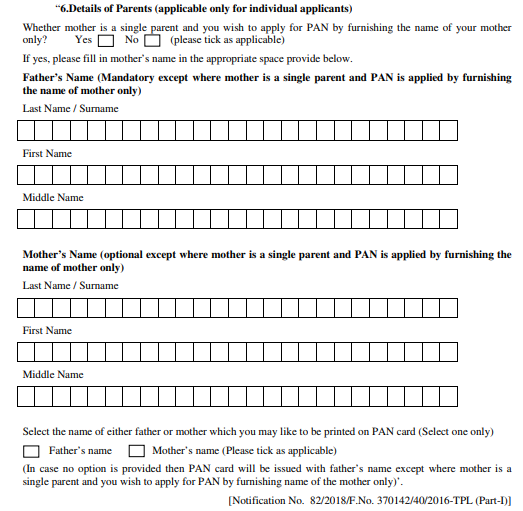 In case of Single mothers no need to provide father name in pan card and mother name will be printed on the PAN card of the individual. This is welcome step and long awaited and gives due recognition of mothers as they have equally important. Revised PAN application be soon provided on online and offline mode. Nice step towards women empowerment.